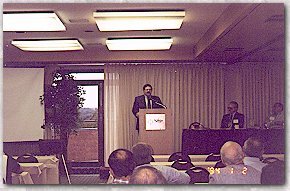 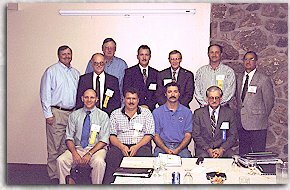 1998-1999 Mining Industry Council of Missouri Board of Directors. 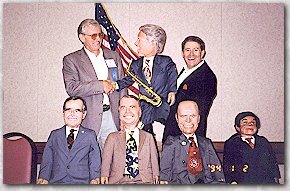 Jim Teter, the comedian who performed at the MIC Annual Meeting, with his presidential dummies. 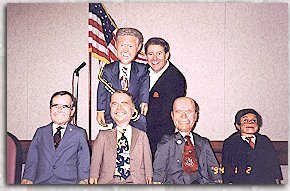 MIC's president, Gary Boyer, with Jim Teter and his presidential dummies during the entertainment portion of the MIC Annual Meeting.